Community engagement takes on many forms in higher education. It is typically defined as a foundational role of a public research university to utilize its knowledge and resources in a beneficial way to demonstrate collaboration between higher education and their communities. Each year, the Faculty Senate Research Policy Committee seeks nominations of faculty from all colleges at The University of New Mexico for the Annual Community Engaged Research Lectureship (CERL) Award that demonstrates this interaction between higher education and their communities. 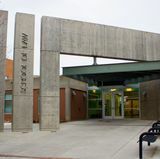 The CERL is one of the highest honors that UNM can bestow upon a faculty member in recognition of one’s community engaged research and creative activity. This year’s recipient is David Gutzler, a climatologist in the Department of Earth and Planetary Sciences. Gutzler is a renowned scholar in the field of climate science working on the dynamics of the atmosphere, climate change and its effect on the biosphere, land surface, water resources and climate prediction. His work has focused on improving modeling and predictions of the North American monsoon, and understanding the impacts of climate variability and change in the Southwest. These topics are of broad interest and importance to New Mexico. 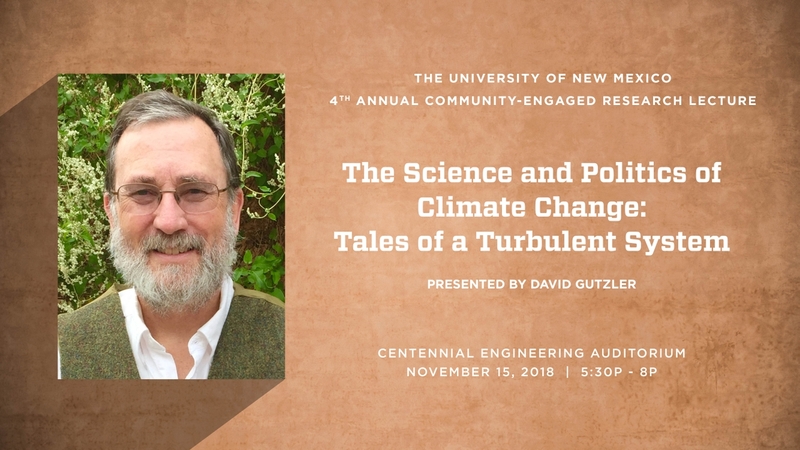 As part of the honor, Gutzler will present a lecture titled, “The Science and Politics of Climate Change: Tales of a Turbulent System.” on Nov. 15 from 5:30 – 8 p.m. in the Centennial Engineering Auditorium. To RSVP for the lecture, visit 4th annual Community Engaged Research Lecture. “I am humbled by the award,” said Gutzler, who is honored to be the recipient of the 4th annual CERL award. “I'm a scientist who happens to work in a technically challenging and abstract field that has turned out to have some potentially profound policy consequences. It’s been an area of interest for Gutzler ever since he was a graduate student in the early 1980s. What has changed since then are the political and policy aspects of climate prediction. “There was very little political or policy making aspect to climate prediction when I first started my career. It wasn't something most of my peers thought much about. Back then, climate predictions offered insufficient skill to affect the public, Gutzler recalled. “It was just another scientific question. What’s also changed is the number of communities that have benefitted from Gutzler’s research as the decades have rolled on. The beneficiaries range from a local to regional and also on a global level. 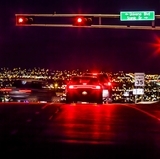 At the local level, some of his early research at UNM looked at seasonal climate predictive ability regarding winter precipitation amounts in New Mexico, and the strength of the following summer monsoon. This study was quickly picked up on by the operational climate forecast community (the NOAA National Weather Service) and incorporated into seasonal forecast predictions about how much summer rainfall the state could expect. At the regional level, Gutzler wrote two general interest science reports in New Mexico Earth Matters, a publication of the New Mexico Bureau of Geology and Mineral Resources. The first was on climate change in New Mexico, and the second was on discussing the impact of climate change on New Mexico water resources. These publications are sent to K-12 educators statewide and reach a wide audience of professionals and teachers. On the global level, Gutzler was a Lead Author on the 2013 Intergovernmental Panel on Climate Change (IPCC) 5th Assessment Report that reaffirmed that human influence has been detected in many parts of the Earth’s climate system. This report was the main source of scientific information informing the 2015 Paris Agreement on Climate Change Mitigation that was signed by 194 countries. Gutzler co-authored the chapter discussing the detection and attribution of the causes of climate change, which was highly influential in the response to this report. The IPCC's 6th Assessment Report is now being organized. Gutzler will participate again, this time on the chapter assessing regional climate change across North America. 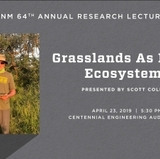 An outstanding researcher and educator, Gutzler has won numerous awards while at UNM including UNM Regents’ Lecturer, College of Arts and Science Outstanding Teaching Award, Center for Teaching Excellence Fellow and the New Mexico Earth Science Career Achievement Award from the NM Bureau of Geology and Mineral Resources. Gutzler has also been working at a high level of community engagement for years. In climate science, he has worked with stakeholders to relate how climate change will impact water resources, ecological communities and urban and rural populations, which are of critical importance. Gutzler has been working at the forefront of these issues for decades, relating climate and climate change information to many different communities as well as working tirelessly with the public, planners, operational forecasters and politicians. Of utmost importance to Gutzler is communicating what he and his students are learning about climate variability and change that may be helpful in regard to policy. For more information, visit the CERL Award website.